Best Dog Training the Inland Empire West! 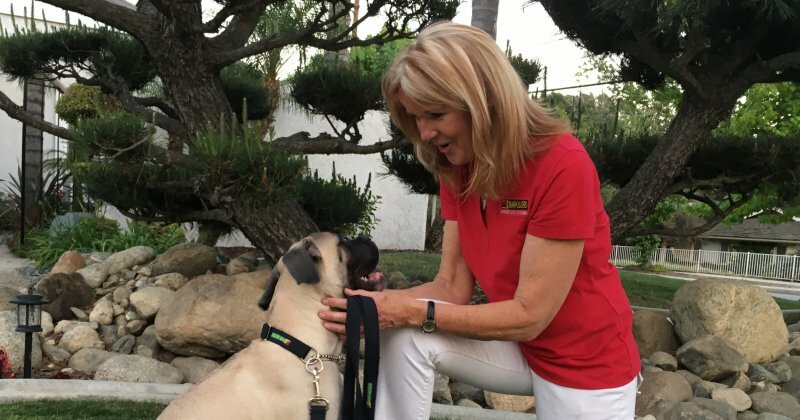 After years of independent research and study of dog behavior and psychology, and having an affinity for rescue dogs and concern for their plight, it was a natural progression for me to join the Bark Busters family of dog behavioral therapists and trainers. I am proud to bring Bark Busters Home Dog Training to the Inland Empire. I'll be marking my territory in every city that touches the 210-from the 15 to the 57. Every wonderful dog in my life has been a "rescue dog." Working with rescue dogs, one sees just about every bad behavior a dog can come up with. I currently share my house with three ever-challenging German shepherds: 12-year-old Hannah, 1½-year-old Ember, and 6-month-old Rowdy. I love working with them every day and watching them grow into being nice, stable dogs as they stay fun and enjoy life. Too many dogs are abandoned or abused because owners do not know how to control the dog's undesirable behavior. They get frustrated and give up trying, thinking the situation hopeless. Please do not let this happen to your dog. It is NOT hopeless. Dogs speak Dog. No matter how old or what breed, they all speak the same language. And no matter how old or what breed, an undesirable behavior can be changed. My private lessons take place right in your home and are customized to your dog and your family. I will teach you the Bark Busters natural training methods and how to communicate with your dog in a language he understands-using voice tones and body language-and without ever using harsh punishment or physical abuse. All our methods have been proven to work. I will teach you how to gain control of your dog through effective leadership. It's simple, its fun and, most importantly, it works. It will take a couple of hours, not months, to see a major improvement in your dog's behavior. You will see positive changes during our first lesson. With Bark Busters written "Lifetime of the Dog Guarantee," we will be your support partners for the rest of your dog's life. This gives you the opportunity to call us back anytime-if a new problem arises or you just need a refresher-with never another charge. So, whether it's a major behavior problem like aggression or you just want to walk the dog instead of it being the other way around, I can help you. Together we can make a happy dog. And that will make a happy family. Nancy was Amazing!!! She helped us get our babies Bella and Aiden get along. We used to have to keep them separate but now we can walk them on the same leash. We can even have family nights again. Nancy was extremely professional, explaining all elements of the course and what we might expect. We were delighted with the initial results - we could hardly believe we were living with the same dog! We thoroughly recommend her and will continue to impelment her recommendations.